Earlier this year Leonardi Aray Architects (LAA) met with Dwell360's team. We are very grateful for such a productive conversation. We learned more about their clients as well as Dwell360's current, real-life experiences. Our previous Dwell360 blog "An Architects Perspective: Building an Addition" discussed strategies and considerations when building an addition over an existing building. This time we have outlined tasks and considerations when increasing or modifying the existing building footprint of your home. 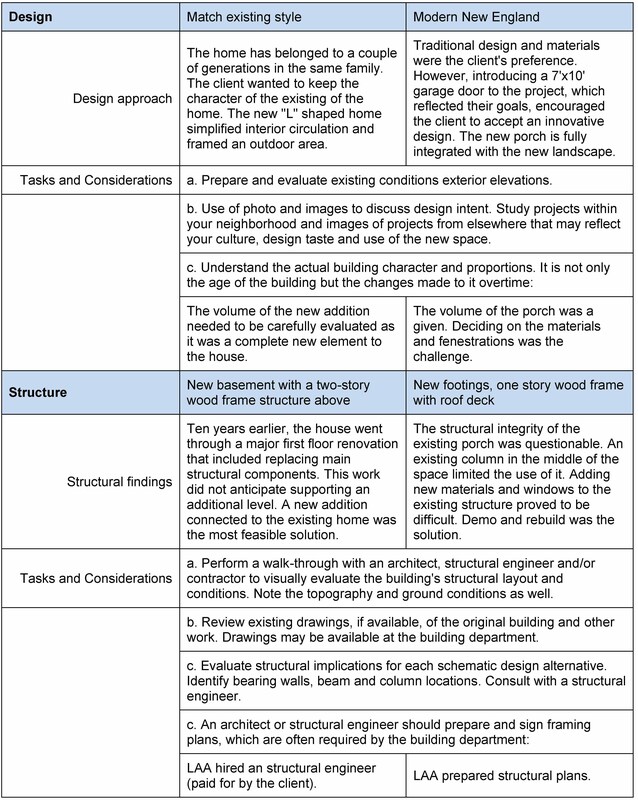 Two recent LAA's projects, 40BR and 1Rock, illustrate tasks that were performed to help the client build an addition connected to an existing structure. 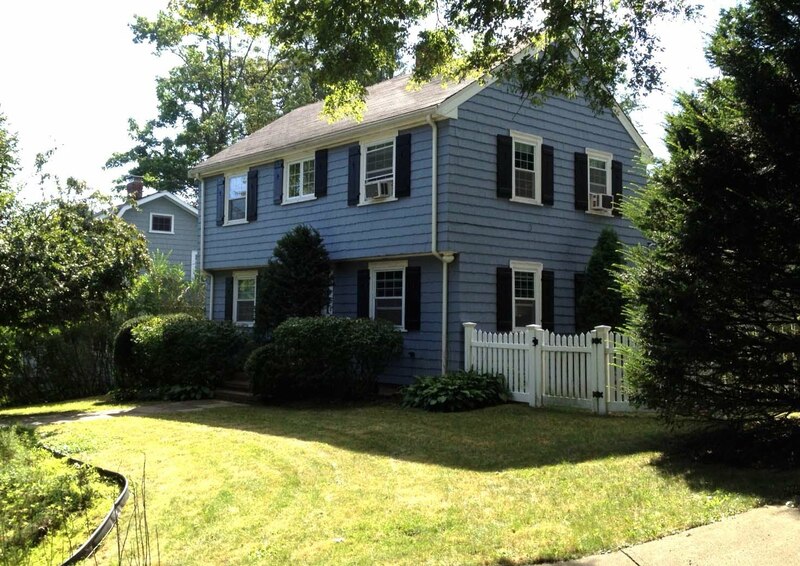 The client for 40BR contracted LAA to prepare a feasibility study to add a master bedroom and bathroom over the second floor of an existing single-family home (c.1929). 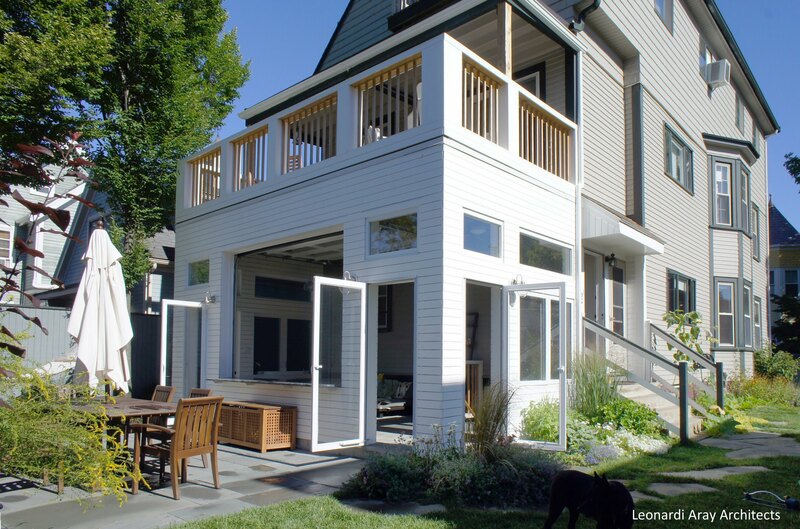 Once the study was completed, the architect and the client concluded that a 2-story addition with a basement connected to the existing house was the most effective solution. The client then approved additional services for the architect to prepare design documents and permit drawings for that scenario. Given this design approach, the project was not required to seek a zoning relieve. The client worked directly with a contractor to build LAA's design. The client for 1Rock engaged LAA to provide full architectural services (from programming through construction) to enclose an existing porch on their 2-family house. As the work involved extensive landscape design, LAA worked with Robert Gilmore Landscape Design. This non-conforming structure required an application for a special permit with the Cambridge's Board Zoning of Appeal (BZA). LAA performed all the necessary research associated with the BZA application, prepared all required documents, presented the project at the public hearing and succeeded in obtaining the permit. Although these two projects and level of architectural services provided are different, the process to achieve a cost-effective, aesthetically pleasant and functional design is similar. 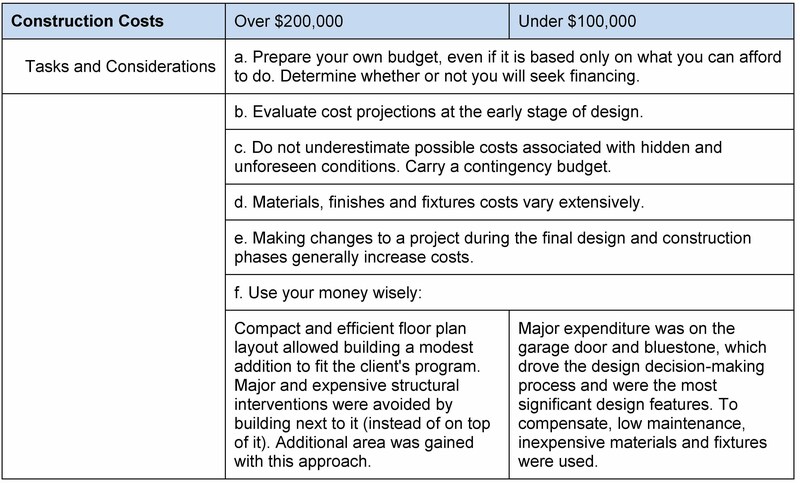 It is important to note that both clients already had an estimated budget for their projects. Very few projects materialize as originally envisioned. 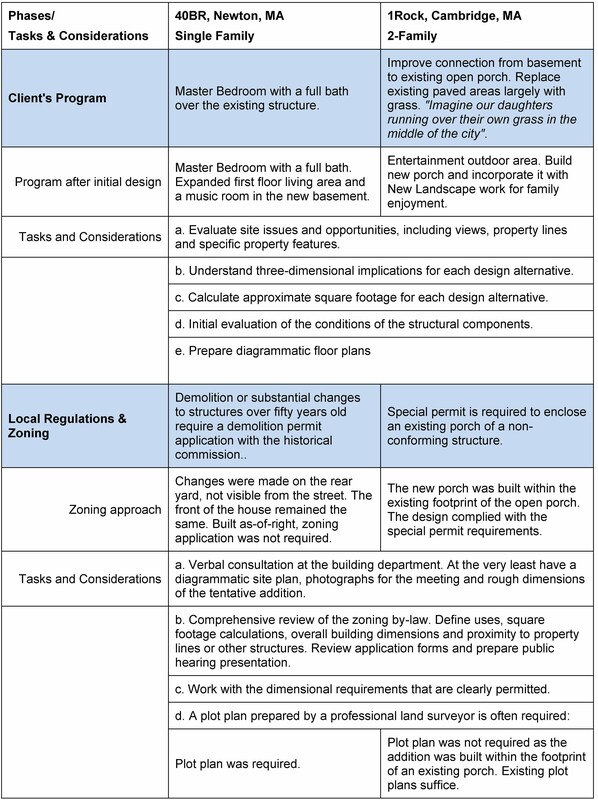 Generally, as the homeowner and architect learn more about the property's challenges and opportunities, the program is revised along the way and new design opportunities are unveiled. Please feel free to contact Leonardi Aray Architects with questions regarding your new project or the tasks and considerations listed above. Michele Adrian and Leonardi Aray are architects with Leonardi Aray Architects in Cambridge, MA. For more than 20 years, they have been helping their clients from the early stages of design through to completed contruction. Dwell360 Real Estate is thrilled to have them as a guest bloggers, and encourages those looking for a skilled architect to contact them at 617-584-0897 or by visiting their website.